On this page are the details of some of the other International house sits we have undertaken. We have the contact details for the owners, and they are happy to to be contacted. As we respect the privacy of all owners we will not publish their contact details here, however if you are interested please feel free to Contact Us for a copy. Duties: Feed, Care, Walk & Play with Scout & Capitan. Look after Mail & Rubbish, Keep Unit Secure and Clean. Liaise with local staff. Update owner on our adventures with the kids. "Where can I begin? Jill and Gavin were a delight from the start. They are great communicators and really truly cared for my 2 big (and not always so easy) dogs. 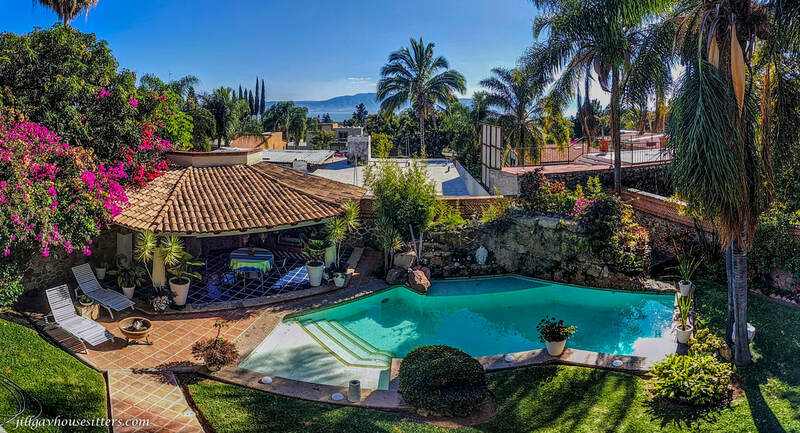 ~ I would highly recommend Jill and Gavin to anybody considering them for house or pet sitting, and we hope to see them here in Mexico City soon!" 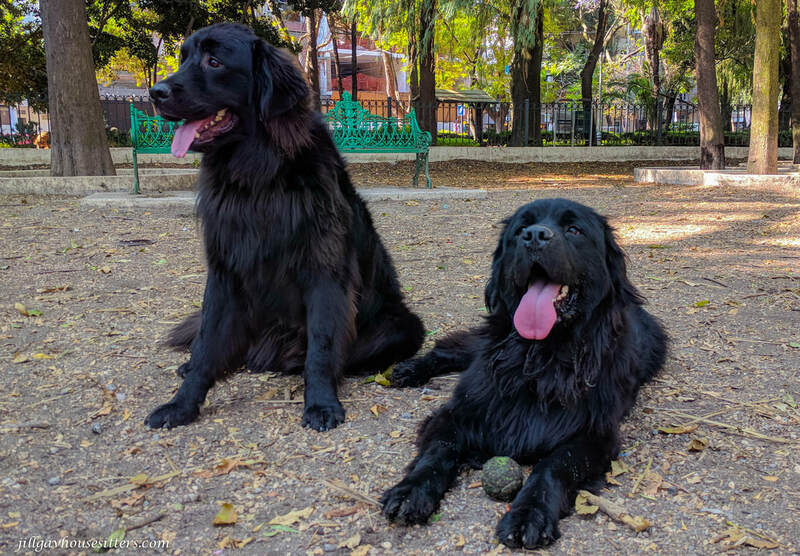 Capitan and Scout, Newfoundland dogs, aged 2 & 3 were great fun to hang out with at home and especially at the local dog park​. They loved to chase the ball and play with all the other dogs. The surrounding park was also a lovely place to walk. 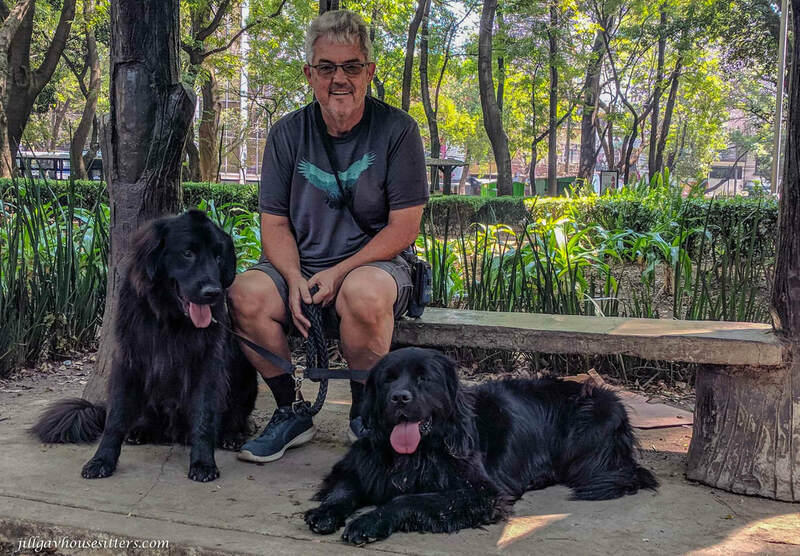 This area of Mexico city is very dog friendly so we could take the dogs almost everywhere with us, and they were very well behaved. There were so many cafes and restaurants to choose from as well as street food, so we were spoilt for choice. 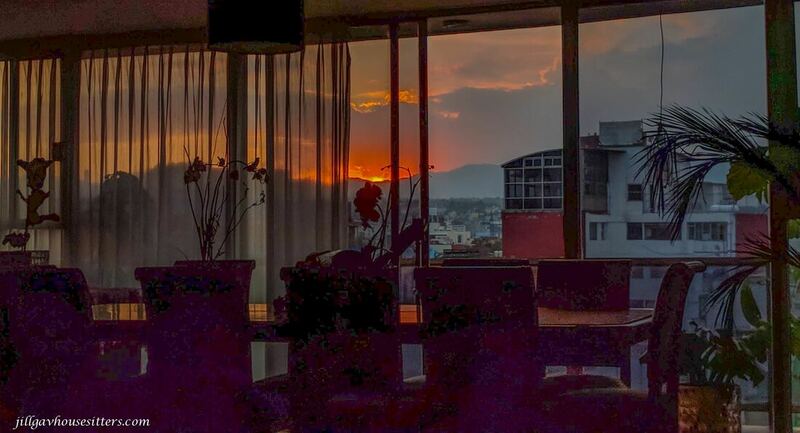 Staying in a 10th floor apartment gave us a beautiful view across the city and spectacular sunsets. Mexico city is a vibrant city with many different areas and places of interest. A great place to be! We had the opportunity to get out and explore the city on the days the housekeeper came and looked after the dogs. The hop on hop off bus took us all around the city, and we also enjoyed a day out to the canal boats. There is so much to see and do, so we will have to come back to Mexico city again! Duties: Feed, Care & Play with Sweetie & Onyx. Look after Mail & Rubbish, Keep House Secure and Clean, Maintain Pool, Water Lawns & Gardens. Liaise and Pay local staff. Update owners on our adventures with the kids. "Jill and Gavin took care of our house and 2 cats for a week while we were at the beach. They arrived as scheduled and we were able to show them around a bit before we departed. House and kitties were just as we left them, when we returned. They are experienced sitters and it shows. Good communication and bonus pet portraits. Happy to add them to our regulars list ~"
​Taking care of Sweetie and Onyx was an absolute delight. They are both very sweet cats with very different personalities. Sweetie loved attention and ruled the house, while Onyx was shy and stayed upstairs in her own domain. We had lots of cuddle time with both of them. The house was beautifully decorated with many indoors plants to care for, and the outside garden was also extensive and required regular watering, as there was no rain at this time of year. Ajijic has a very large ex-pat community of Americans and Canadians, which gives the area a more western feel than other areas in Mexico we have experienced. There were many great restaurants as well as delicious street food. It is a pretty area with a huge lake, which we enjoyed the view of as we walked along the boardwalk. There was a large number of pelicans who enjoyed this lake area as well. We took a trip to the neighbouring area of Chapala during our stay, which was quite different to Ajijic, with a much more Mexican flavour. It's wonderful to have time to immerse ourselves in these areas while we house and pet sit. Duties: Feed, Care Walk and Play with Max, Pip and Jules. Sort Mail, Bins, Keep House Secure and Clean, Maintain, Clean and Wash Supplied Car. 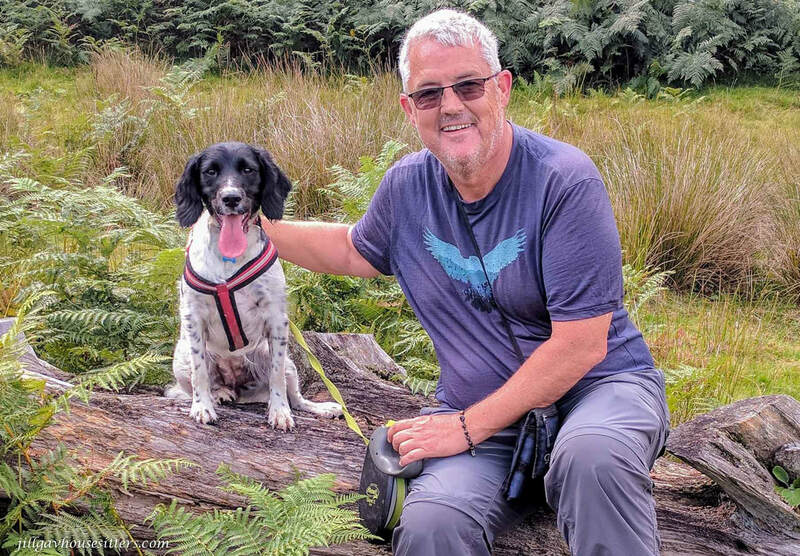 "This was our first experience of having a house sitter for our dog Gertie (1 year old springer spaniel) ~ We could not have asked for better housesitters than Jill and Gavin. 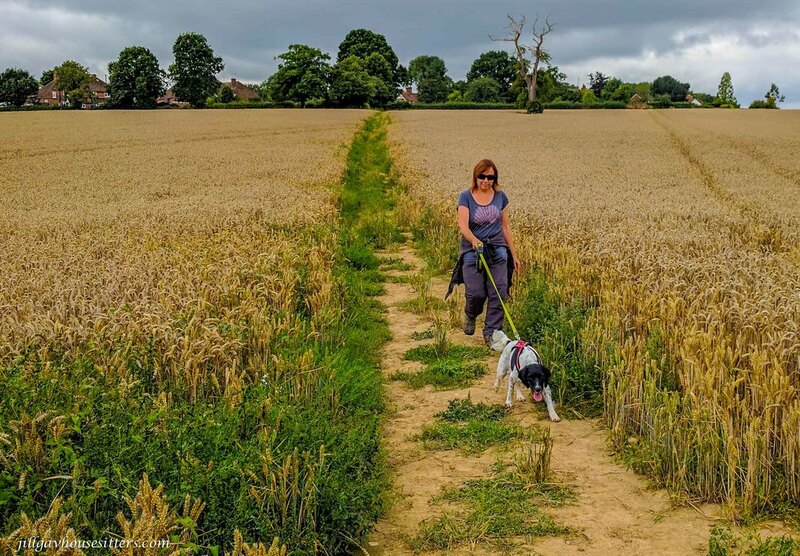 ~ Whilst we were away Jill and Gavin sent through weekly updates from home and some lovely photos of the many trips and walks they had taken Gertie on, which were much appreciated. ~ We really appreciated their approach and the care they provided for Gertie and our house. ~ We would highly recommend." ​Shipbourne is typical of the rural UK villages you see in the movies. It has a small population and borders other small villages., which were all very picturesque. Each has a small church and pub and lots of fields and forests to wander through. There was a weekly farmers market at the church which was very popular with locals and tourists, where we bought some delicious homemade cakes and pies. The homeowners left us their car to use so that we could take Gertie out on excursions with us. We enjoyed exploring the local areas and some significant UNESCO historical buildings further afield. 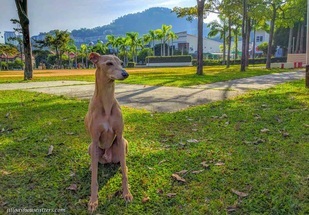 While they don't allow dogs in the grounds of the buildings there are some beautiful walks around them to enjoy. One of the highlights was taking a boat trip along the canals, and getting some local knowledge about the Tonbridge area. Gertie seemed to enjoy it too! Gertie was always full of energy, being a puppy, so we spent a lot of time playing ball in the back yard in addition to a couple of walks each day.She was a sweet, affectionate dog and we had lots of fun together.
" ~ They proved to be highly professional, flexible, organised, self-sufficient, but to us most importantly, TRUE dog lovers!!!! ~ We would without reservation HIGHLY recommend Jill and Gavin as house and petsitters, you will be so lucky if you can get them for an assignment!" ​From the moment we arrived at this Belgium housesit we were made to feel very welcome by our very kind, thoughtful and generous homeowners Denise and Peter. We enjoyed spending the weekend with them before they left on holidays, and it gave us time to experience the dogs favourite walking tracks in the local forests and fields. The 3 dogs, all rescue, Max, Pip and Jules were great characters and enjoyed chilling out on the couch with us as well as wandering the forests and fields. 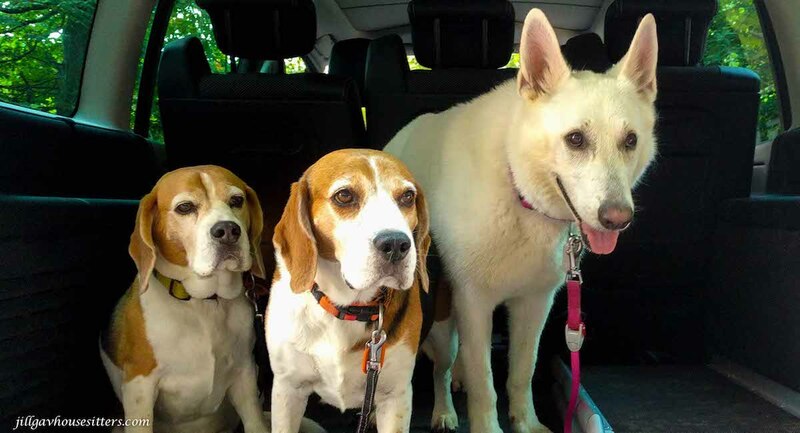 The owners gave us the use of their car which enabled us to explore the local area and visit a couple of tourist spots, but lets face it after 2.5 months walking the Camino and no TV, this sits Netflix became the favourite past time of us and the puppies. Belgium is very beautiful and the people are friendly. It was a wonderful experience and we thank Denise and Peter for making it special indeed. Duties: Feed, Care and Play with Lulu. Look After Gardens, Sort Mail, Bins, Keep House Secure and clean. "Thanks ever so much for leaving the house so spick and span, it was a joy to come back to! Hope you had a great Christmas and thanks again for house and dog sitting. Lulu I think misses you all as she keeps heading into the front bedroom bless her." 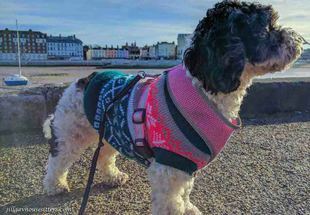 This was our second visit to Margate and second time taking care of Lulu. Although no longer a puppy, she is still full of energy and not as timid. So we had wonderful walks along the beach, despite the fact that it was winter. Lulu loved to run around and around and then dig tunnels. She was very entertaining and amusing to watch. Trips to the local park were also enjoyable with lots of other dogs around to interact with. We spent a lot of time playing with her toys at home, throwing them around the family room, and she never tired of chasing the ball. 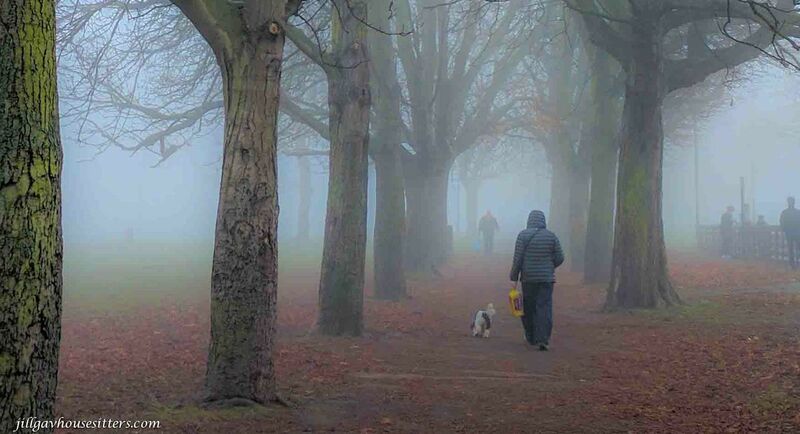 It was wonderful to experience how pet friendly the UK is, welcoming dogs into cafes, so we could sit in the warm and have a coffee while we were out walking with Lulu. She is so well behaved and friendly that we never had to worry about her with other people around. Duties: Feed, Water, Walk, Care and Play with Verone, Feed, Clean & Look After Turtles, Maintain and Water gardens, Sort Mail, Bins, Clean and Maintain Vehicle, Keep House Secure & Clean. "~ It was reassuring to know everything was well looked after & we did not have to worry about anything. ~ The animals seemed happy in their company. We left our car for their use & it was clean when we returned. Our garden had also been watered and looked after. 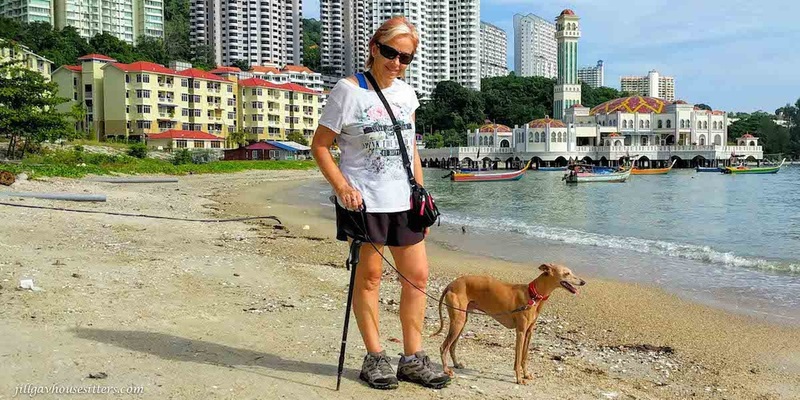 We would gladly trust them with our house and animals again should they wish to return to Malaysia ~"
After three months of constant travel in South East Asia, it was a welcome relief to arrive at our 9 week House Pet Sitting assignment in Penang Malaysia. It was a real pleasure to settle into a routine again, and a joy to look after Verone who loved to go out walking and exploring the area. We spent the warmer humid hours of the day catching up on online work and all the stuff we had sidelined while travelling. In the cooler mornings and evenings we went for walks, explored all the different food offerings and the closer beaches. We appreciated the use of a vehicle while there, however as we had done three months of constant travel we mainly stayed close to home. Apart from taking the car for a service we did venture out to the national park and enjoyed a day trip on the Hop On Hop Off bus. Other than that we enjoyed being home bodies looking after the property, Verone and our first time looking after Turtles. We enjoyed our time in Penang and thank our wonderful owners for their hospitality and trust. Duties: Feed, Care and Play with Lulu. Water gardens, Keep House Secure and clean. "~ Jill also looked after the house and kept it clean and tidy and watered all of my plants both inside and out during the drier periods. Jill is obviously a seasoned house/pet sitter, especially in her home country of Australia and I am sure she will do a great job for you if you decided to take her on. 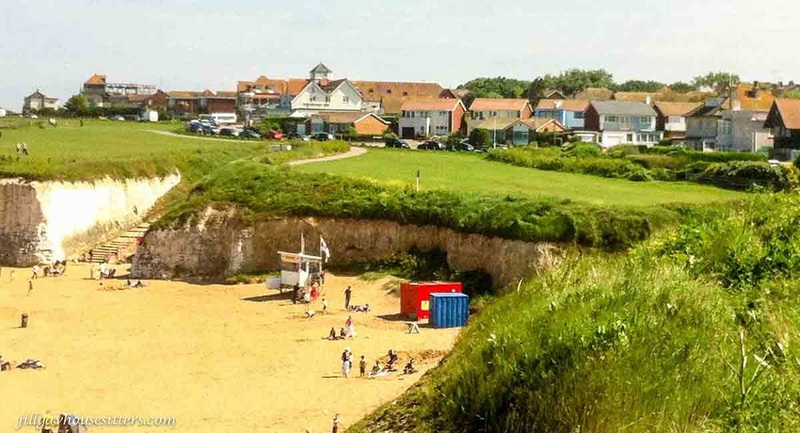 ~"
Margate is a delightful seaside town with a beautiful sandy beach, and lovely variety of shops, art galleries, museums and parks. My son Chris joined me on this housesit and it was wonderful to have his help in entertaining a puppy who was full of energy and loved lots of attention and ball throwing. Lulu loved her walks in the park and along the beach, and is just learning to interact with other dogs, although a bit over-enthusaitically at the moment. She is a very sweet dog and fun to be with, which made it a very enjoyable time together. Duties: Feed, Care and Play with Trinxa, Water gardens, Keep House Secure & Clean. "~ Trinxa was very happy to have Jill take care of her again,and so was I. I went away for the week knowing that Trinxa was in good hands and would have lots of cuddles and playtime with Jill. On my return Trinxa seemed very content and happy and her affection towards Jill showed how well she was cared for. Everything in the house was spotless and the plants were watered inside and outside ~." 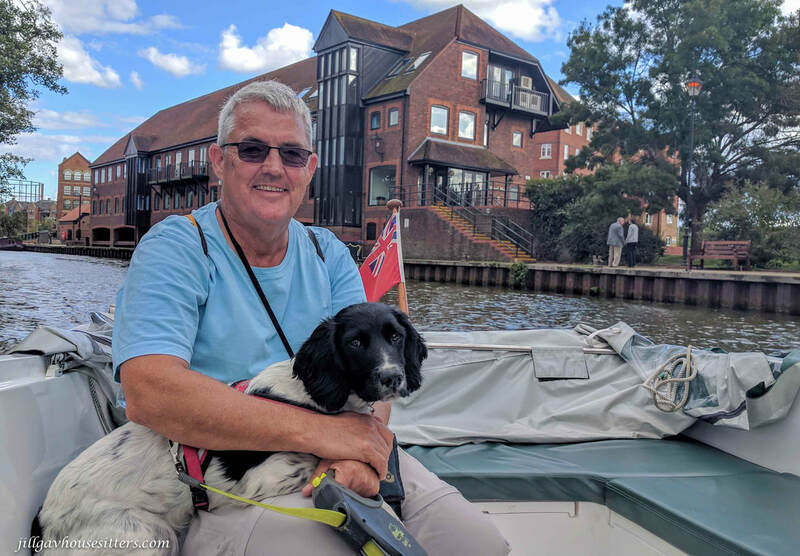 After a few weeks traveling around Europe it was lovely to have a week in one place where I could relax and spend time with Trinxa, as well as exploring the beautiful area of Canterbury. 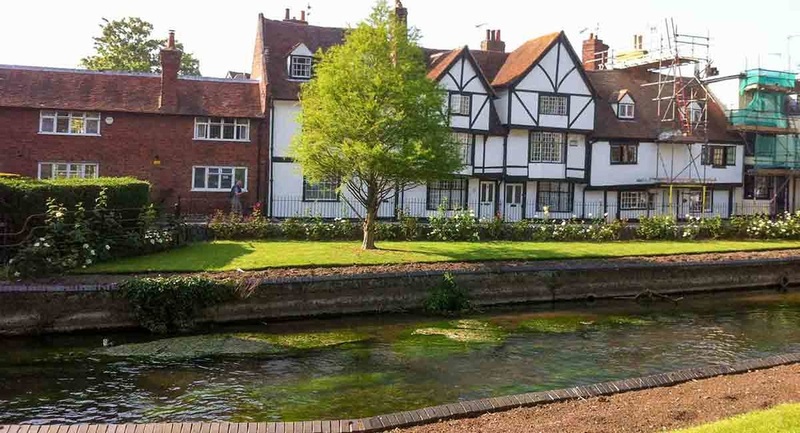 Canterbury is a cute, quaint English town, full of history and beautiful old buildings. I felt very comfortable wandering around town and mixing with the locals. I enjoyed relaxing on the couch with Trinxa and watching some TV which I hadn't watched for several months, and having her snuggle up on my bed at night time was nice too. It was only a short stay but it worked out well for everyone, and I felt refreshed to move on again after quiet time spent in Canterbury. Duties: Feed, Water, Walk, Care and Play with Gabby, Button & Dotty, Water gardens, Keep House Secure & Clean. "~ After speaking with Jill over skype I felt confident that she would take good care of my pets and keep them company while I was away. I left with peace of mind knowing they were in good hands and that Jill had the experience to deal with Gabby, who can be strong willed at times. The house was very clean on my return and the animals were happy and content. 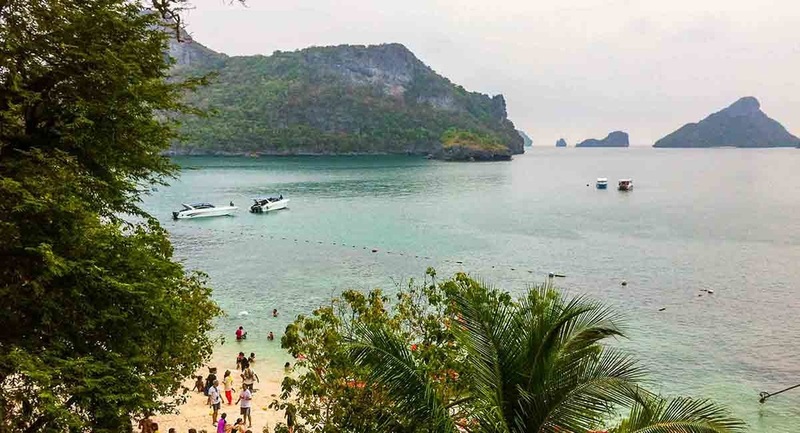 ~"
After spending 3 months living in Bali the transition to Thailand was fairly easy. Gavin had commitments elsewhere, so I took this house sit on by myself. The property was located in a village area surrounded by mountains. Very tropical and steamy. Thankfully there was a pool to dip in and out of to keep cool. 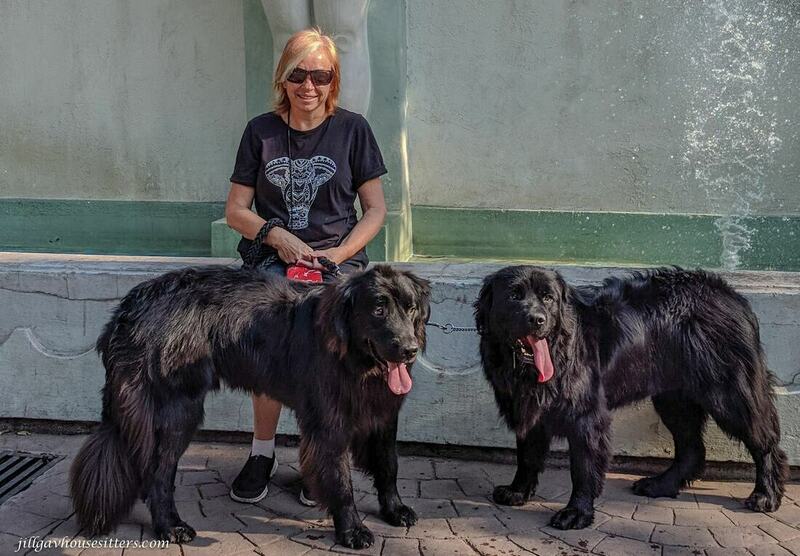 The dogs enjoyed their morning and afternoon walks through the "jungle", which was very peaceful except for the stray dogs, of which there are many unfortunately. But we managed to stay out of trouble. It was interesting to be amongst the locals instead of in a "tourist" area, and observe the simplicity of their lifestyle. Many of them keep chickens, roosters, ducks, geese and even some pigs. Dotty likes cuddling up next to me on the couch during the day, while the dogs are outside, and then most evenings Gabby, Button, Dotty and I would relax on the patio together, reading, doing jigsaw puzzles (well me, not them!) and listening to music. Duties: Maintain security of the property. Supervise domestic staff and pool maintenance. 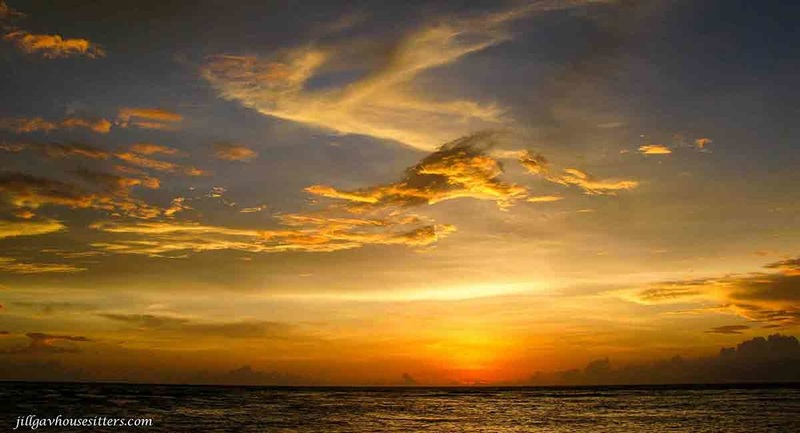 "~ It gave us great peace of mind to know that we could leave our Villa in the capable and trustworthy hands of Gavin & Jill while we went away to spend time on another Indonesian island. They kept everything safe and secure, and supervised the staff who maintain the villa, and everything was clean and orderly on our return. It was wonderful how easily they adapted to the Bali lifestyle and were relaxed and confident in taking on the challenge of an overseas house sit. 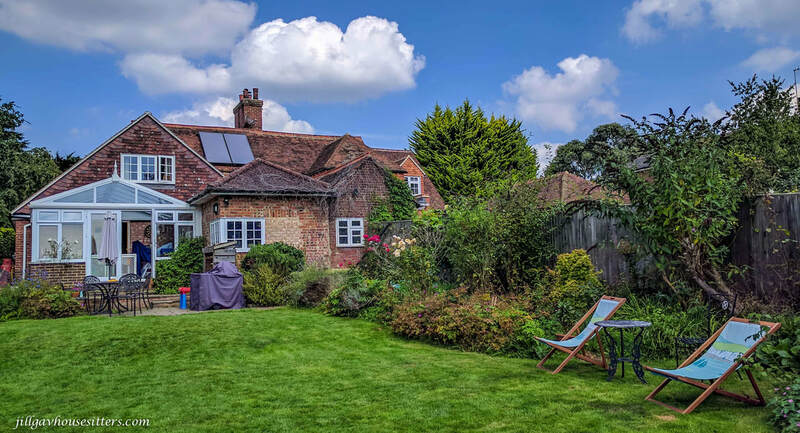 We would recommend Jill & Gavin to anyone looking for a carefree time away. ~"
It was a very different experience to house sit in Bali after 2 1/2 years of traveling Australia. The humidity was extreme being the wet season, so it was lovely to have a private pool to cool down in. The gardens didn't require watering as storms were consistent and rainfall plentiful. There were no animals to care for at this house sit so we had plenty of opportunity to get out and explore the area. The lack of footpaths makes it difficult to walk around so we relied on scooters and taxis, which was also a very different experience to Australian traffic and transport! We enjoyed many beautiful sunsets from a variety of locations. Bali has an amazing selection of restaurants & bars, with a multicultural selection of very affordble meals. The people are very friendly, kind and patient and many speak English, so it was a great introduction to house sitting overseas.